Get precise power control over your cooking with the flame select feature on this stainless steel 5 burner gas hob from Neff. 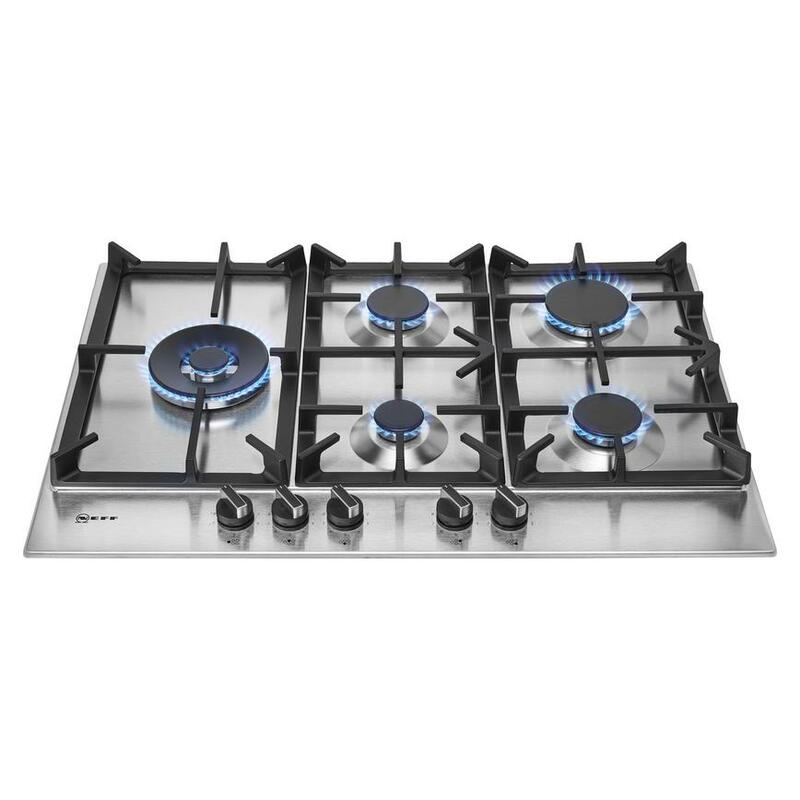 This stainless steel Neff gas hob has flame select power control so you can choose the exact level of heat required. The five burners include a rapid one, a simmer and a wok, while it can also be converted to run on LPG. For added safety, a flame failure device cuts the gas off from burners that are accidentally extinguished.